POUR 1.5 cups of (soy/ rice/ almond/ cow) milk into a small saucepan or pot. BRING to a bare simmer over medium-high heat. When the milk is heated, pour about 0.5 cup into a heat-proof milk frother. FROTH the milk until a thick foam forms. MIX about 2 tablespoons of green matcha with the simmering milk in the small saucepan. GIVE it a good stir until an equal green color is visible. DIVIDE the green milk over 2 glasses, then pour in foam on top. SWEETEN with agave syrup, as much as you like. For presentation, top it off with a little bit of matcha powder (as seen in the picture). 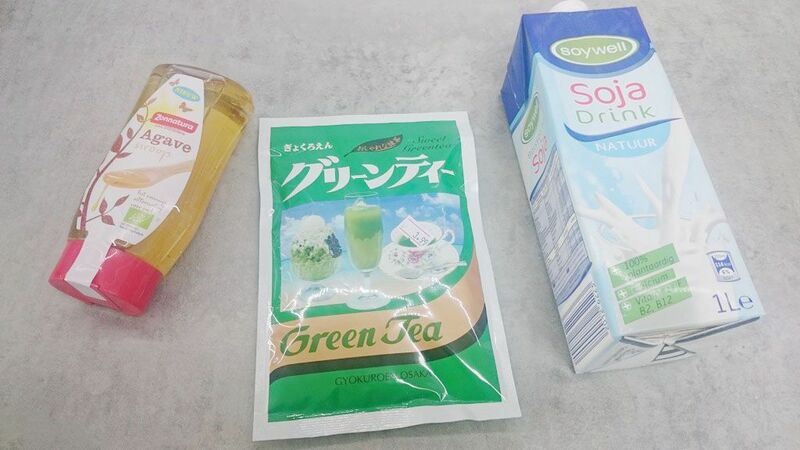 You can usually purchase matcha green tea powder at Japanese markets, chinese supermarkets or reform shops. 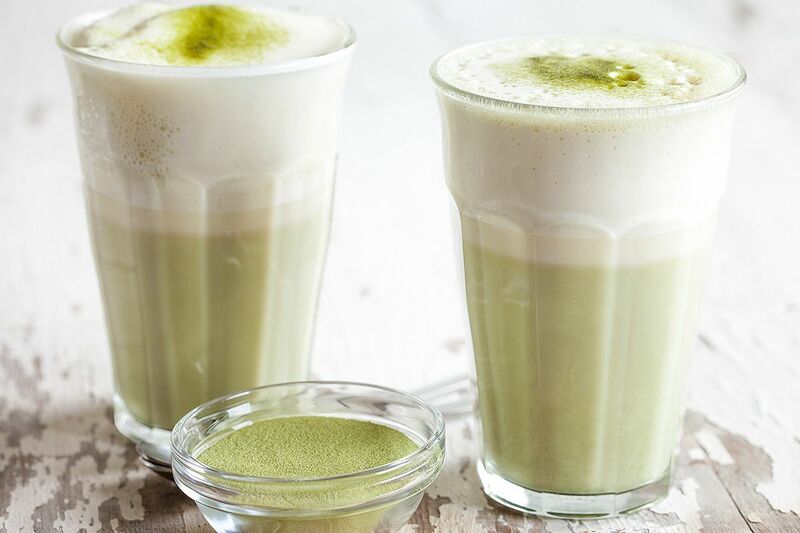 This green tea matcha latte has a savory, but nutty flavor and aroma. Add some lemon for that extra freshness. LOVE this latte! I’m such a fan of Matcha! As a serious matcha fan.. this is definitely a recipe I endorse! Wish I had one of these lattes now! I really REALLY REALLY want to try this! We never tried matcha before. The wonderful taste surprised us so it’s definitely a keeper! This looks so frothy and delicious! ! I’ve been really interested in trying matcha but have been overwhelmed by all of the options. Thanks for breaking down all of the information here. 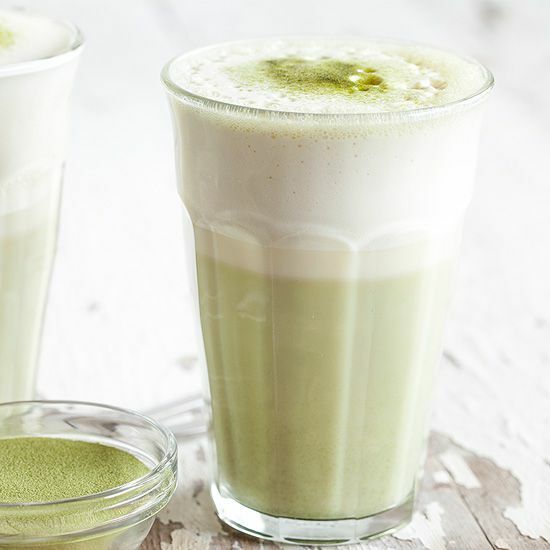 Looking forward to making my first matcha latte this weekend! Thanks so much for sharing it!